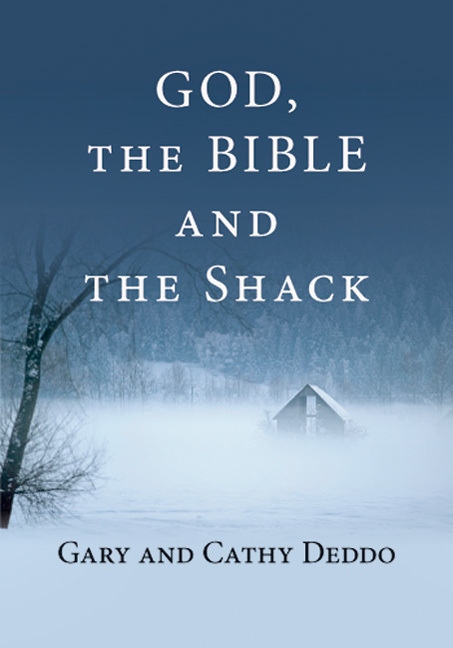 God, The Bible and The Shack is a short pamphlet, designed to help readers of W. Paul Young’s The Shack navigate through some tough theological issues. In the study of logic, a false dichotomy is when only two options are presented, either believe this or that, even though there might be yet a third option available. The fallacy of the false dichotomy is that it excludes other reasonable alternatives. I really hope I am wrong. But sadly, it appears that several recent Christian films (and their associated books) are trying to exploit certain false dichotomies that are increasingly popular in the church today. On one side, stands something like Del Tackett’s Is Genesis History?, blogged about several times here on Veracity (#1, #2, and #3). According to some reviewers, such as Alan Shlemon at Stand to Reason, though there are some very positive elements in the film, Shlemon thought that Is Genesis History? plays into the notion that the church is divided into two different groups: the sole defenders of the Bible, who unswervingly hold to a view of the earth as being young, around 6,000 years old, versus compromised Christians, who undermine the Bible by accepting anti-Christian, scientific evidence of an earth that is millions of years old. Of course, Del Tackett, in an admittedly kind, warm and unassuming way, urges Christians to pursue the first option, and shun the second. For Del Tackett, the question of, “Is Genesis History?,” is of great interest, in terms of the age of the earth. But it is often a misleading question. “Is Genesis True?,” is a much more profound and disturbing reality to consider. Alan Shlemon rightly sees the fallacy here, regarding the fundamental argument from the movie as a false dichotomy. Meeting God in The Shack…. or Burning Down the Shack? Just recently, we see a movement in just the opposite direction, on a very different issue. But the rhetorical effect of using false dichotomies is the same. William Paul Young’s blockbuster book, The Shack, has made it into theaters as a movie. Young’s exploration into the topic of suffering, in narrative form, has struck a chord with many. It is a profound question: Why would a good and loving God permit suffering? On the other hand, The Shack, as a book, was controversial among Christians a decade ago, and so now again, is the film. Many supporters of The Shack would contend that the naysayers are over-reacting and that whatever doctrinal questions there are remain unresolved by the new film. 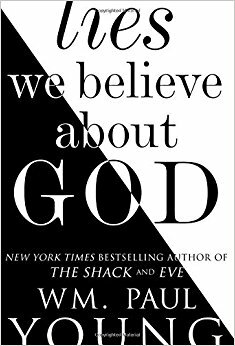 W. Paul Young’s Lies We Believe About God, is a follow-up book to The Shack, which ups the ante on the theological controversy. Nevertheless, I was a bit taken aback by a new book written by William Paul Young, undoubtedly to tie into the new movie. But this time, Lies We Believe About God is a non-fictional, theological meditation on The Shack themes. Unfortunately, several reviewers have concluded that Lies We Believe About God merely makes explicit the type of false teaching that they see as hinted at or vaguely presented in the original book, and even the movie. At first, I was skeptical and thought that such naysayers might be overstating their critique. But given some of the “lies” that Young thinks we as Christians have sadly believed, I am now inclined to think that Young’s critics have a strong point to make. Now, each one of these “lies” can be nuanced in a way that demonstrates the opposite of some Biblical truth, and to William Paul Young’s credit, he does clarify this…. at least, somewhat, but not entirely. For example, as I have argued elsewhere, there is a sense that every human being, by virtue of being a creature in God’s good creation, is a “child of God.” Acts 17:28 quotes the apostle Paul positively quoting a pagan poet as saying that “we are all God’s offspring.” So, it would be wrong to insist absolutely that, “Not everyone is a child of God.” That would be a lie. But consider the whole testimony of Scripture, and not just a part. In Romans 8:14-17, the same apostle Paul contends that it is believers in Jesus alone, those who have the Holy Spirit in them, who are truly children of God. We must be adopted into God’s family through Jesus, to be reconciled with our Creator. It makes no sense Biblically to talk about adoption into God’s family, if every human being is already a child of God. 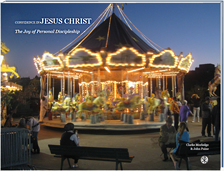 Spiritually speaking, the problem of sin makes us all orphans, in need of knowing the adoptive love of God. The tension between being “children of God,” due to creation, and not being “children of God,” because of human sin, but that is resolved by adoption for those who are reconciled in Christ, is an inherent part of Scriptural testimony. A number of the “lies” that Young has in his book can be seen to be truly lies, but each one of Young’s so-called “lies” I listed above are actually Biblical truths, when properly understood and framed. The problem with Young’s theological analysis is uncannily like what Del Tackett does, in a different manner, in Is Genesis History? Young presents a false dichotomy where one part of the Bible is set up in opposition to another. Consider the two other “separation” lies above, where William Paul Young can mislead again: Young can all too easily dismiss the arguments of those Christians who insist on, “Hell is separation from God,” or “Sin separates us from God,” as setting up a type of moralistic barrier between us and God, that has no relational character to it. Some might say that God is merely a lawgiver, ready to whack us over the head when we mess up, who cares nothing about us personally. Within the context of Young’s haunting, abusive experience, particularly growing up as a missionary kid in a dysfunctional family, his approach makes sense. For someone coming from a moralistic or legalistic background, the inclusive, hopeful message of The Shack sounds like a breath of fresh air! So, it is understandable for Young to write another book to expose the “lies” that burden the moralists and the legalists. These are not “lies,” but rather, basic Bible truths. Young’s argument is, yet again, a false dichotomy. God does not wait for my choice and then “save me.” God has acted decisively and universally for all humankind. Now our daily choice is to either grow and participate in that reality or continue to live in the blindness of our own independence. Are you suggesting that everyone is saved? That you believe in universal salvation? That is exactly what I am saying! This is really good news! It has been blowing people’s minds for centuries now…..
Here’s the truth: every person who has ever been conceived was included in the death, burial, resurrection, and ascension of Jesus. William Paul Young is “blowing people’s minds,” but not really in the way I think he intends. There are pieces here that need some teasing out, that I will not go into here, but I am dismayed by the theological recklessness2. Young is right to insist on God’s inclusive, overwhelming love for us, but to do so, at the expense of minimizing the tension with God’s justice, to eradicate the evil in the human heart, is misguided at best. It is one thing to say that God’s work in Jesus Christ, through his death, resurrection, etc., has in aim the reconciliation of all of humankind. It would be totally amazing if we were to find hell totally emptied, and we should be ready to praise God for it, if such a greatly improbable thing were to come to pass. But the likelihood is pretty low. To insist that this “hopefulness” inevitably leads to the assertion of universal salvation for all, is going further than Scripture would allow. We must all soberly wrestle with the terrible prospect and Biblical truth that not everyone will experience that ultimate reconciliation (see Matthew 5:22, or John 3:36, just for starters). For those Christians who find the message of universalism attractive, you should consider that not everyone who remains unpersuaded by Young, as such, is a backwards-thinking, theological dinosaur, who either relishes the thought of eternal separation for the masses, or who has unwittingly bought into the wrong idea of an angry despotic God. This is the problem with this type of false dichotomy thinking. By failing to grasp the whole counsel of God in the Bible, it is so easy to see things in oddly absolute, dogmatic, black-and-white terms. I sincerely hope I am wrong about the false dichotomizing tendencies of such Christian films, like Is Genesis History?, The Shack, and their associated books. Perhaps some of the jarring statements are meant merely to stimulate thought and discussion. But my concern is that false dichotomies do just the opposite. Instead of providing Biblical clarity, they lead to confusion. My focus in this blog post has been with William Paul Young, The Shack, but mostly with his latest follow-up book. It might have been better if Young had titled it, “Half-Truths We Believe About God,” but I am not sure that would have rescued the book. I have known several friends who have gone to see the movie, and they were quite moved by it. I would not want to discourage them in making positive assessments regarding the film. At the same time, I would also hope that those who do see The Shack, and who might be interested in reading Young’s follow-up, Lies We Believe About God, might make a serious attempt to study the Scriptures for themselves, possibly using some of the resources I have suggested, and get the full story, and not settle for overly simplistic false dichotomies. This entry was posted on Thursday, March 23rd, 2017 at 5:46 pm	and tagged with Del Tackett, Gary and Kathy Deddo, Hell, is genesis history?, karl Barth, lies we believe about god, the shack, universalism, William Paul Young and posted in Apologetics. You can follow any responses to this entry through the RSS 2.0 feed.